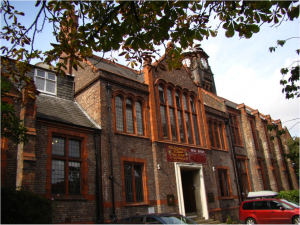 KD Grammar School for Boys was established in the year 2000 in Hartley Hall, a Grade II listed building which used to previously house the Royal Northern College of Music. The boy’s school (previously known as Avicenna Grammar School for Boys) moved from Didsbury to this beautiful historic building. 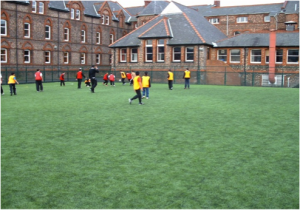 Considerable changes had to be made to make this site fit to house the school and this included laying out a 3rd generation astro turf so that the boys could play football and, has been done lately, field hockey. Despite some difficulties the school has consistently been able to provide good results and was rated “good” by Ofsted. Its staff is professional and varied. 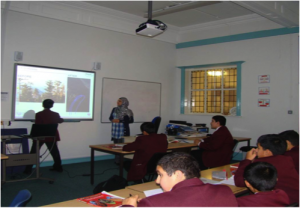 Its curriculum is well balanced between the national curriculum and the provision of Islamic ethos and tarbiyah, the raison d’être for the existence of this school. Please visit its website www.kdgrammar.co.uk for more details.